Items in our museum collection are from Lehigh Township and surrounding areas. Research genealogy and historic events from our area through the years. Our museum at the Historical Centre contains a variety of artifacts, books, church records, documents, photos, and videos, as well as family history information. We have internet access for a member to use in assisting genealogy research. We have many items in our collection that have come from former local businesses and families in the township. Our newest acquisitions include an antique wooden wheelchair, a rocking chair, and an old record collections from Wilson and Beverly Putt. Some of the more recent pieces obtained are items from the former Mauser Mill in Treichlers and an old doctor's buggy originally used by Dr. Oplinger, a Northampton veterinarian. 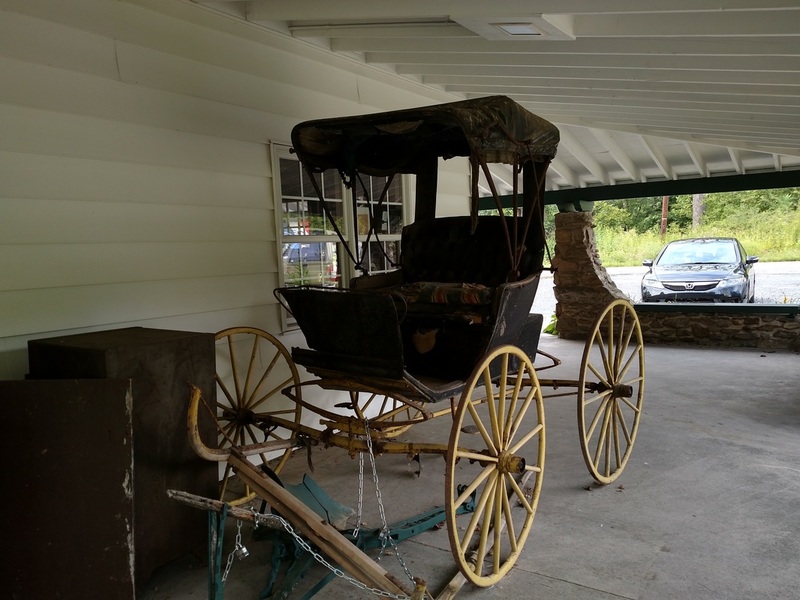 Donated by Gary Smith and Gene Rice, the buggy which was built over 100 years ago needs to be restored. We also have items from the former Cherryville Hotel and Betty Seidel Shop as well as unique pieces from Dieter's Foundry. 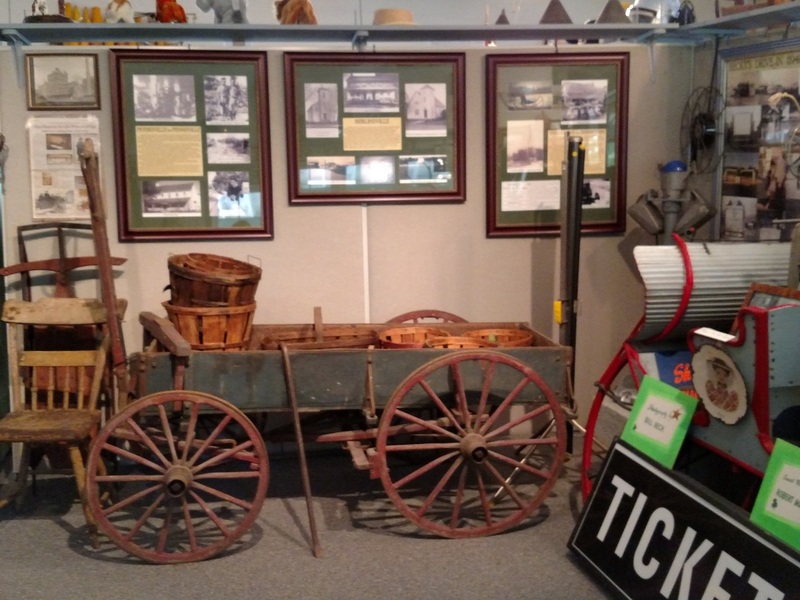 Some of our displays show old farming equipment and household items of yesteryear. 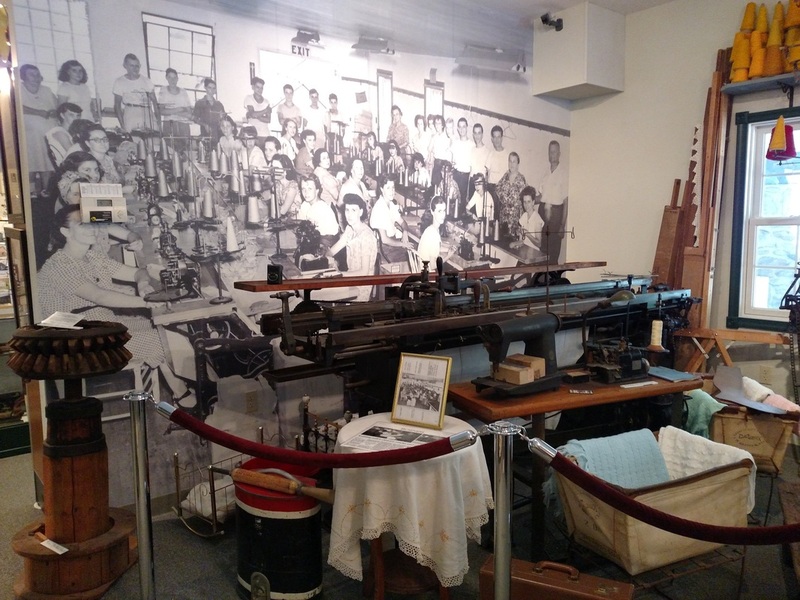 A large photograph and items from a former sewing factory can be seen in the museum. Our displays change periodically as we receive new "old" items to display and have to make room. 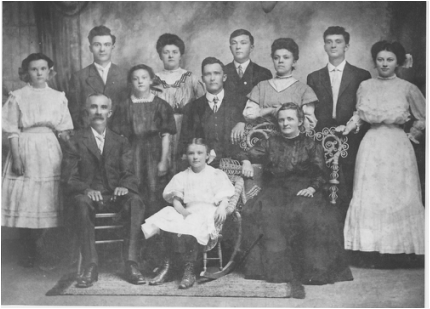 Photograph of the Benjamin L. Hall family of Lehigh Township taken around 1910, Benjamin was once a teacher at the one-room school in Harpers. Photo Courtesy of Ruth Hall Kent. ​​We are working at building a local genealogical library and resource area. If you want any help getting started on your family search, we will try to get you on the right path. We are not experts, but can offer suggestions and we do have internet access to help you do online searches. We do not do research for you from an internet request. You are welcome to visit and search through our archives. If you cannot visit during an open house, please call and make an appointment to use our resource room. We have a large collection of various booklets and newspaper clippings relating to local history. Come visit us and take a closer look.